Wildrose critic Jason Nixon says it was a clear case of influence peddling. 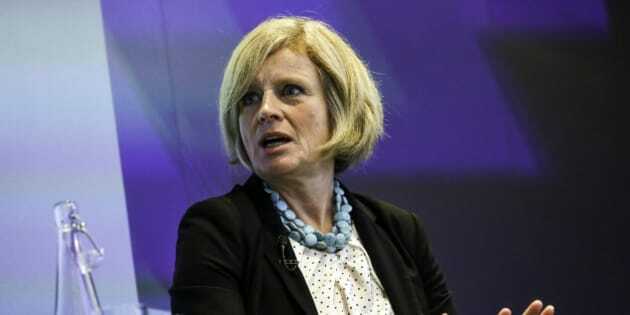 EDMONTON — Alberta's NDP government performed a rapid-fire about-face in the house Thursday over accusations it was selling access to Premier Rachel Notley and her cabinet. Government house leader Brian Mason, facing questions from Wildrose member Jason Nixon, first defended an upcoming NDP party event in Calgary that promised access to Premier Rachel Notley and her cabinet for a $250 party donation. "It's an opportunity to meet all members of the NDP caucus,'' said Mason. But just seconds later, Health Minister Sarah Hoffman, apparently having been alerted to the actual wording of the invite, stood and labelled the invitation offside. "I understand that there was an error made by the party in describing the fundraising event,'' Hoffman told the house. "That error is being fixed. The allegations made by (Nixon) suggests that there was an untoward intention. That is simply not the case. The issue surrounds an invitation sent out by the party for a Nov. 26 fundraising event at Stampede Park. In return for a $250 donation, it promised a chance to talk about issues with Notley, cabinet, and MLAs but described them using their government, rather than party, titles. "Join Premier Rachel Notley, cabinet and MLAs for the evening to discuss issues facing the province that are important to you,'' read the invite. Chris O'Halloran, the acting secretary of the Alberta NDP, said in a statement that the invitation will be reissued using party titles instead. "In promoting an upcoming fundraiser, we used regrettable language, referencing the executive council roles of several Alberta NDP MLAs,'' wrote O'Halloran. Nixon later told reporters the event still needs to be cancelled. "An apology is not enough,'' said Nixon. "You can't fund-raise in an inappropriate way and then change your mind and say, 'Oops, sorry, I didn't mean to do it like that,' and then still continue on with the proceeds of the process. In 2007 the government of then-premier Ed Stelmach cancelled a fundraiser after questions were raised over similar wording on an invitation offering donors access to the premier. Nixon said the party will ask the ethics commissioner to look into the issue.